When we first heard about this interview on “MTP Daily” we were beyond excited because we have followed the new Congresswoman for NY since the day she was elected. Folks her interview with Chuck not only was informative, but we were listening to every word she spoke. This was to us the most inspiring interview we have seen in many months. Representative Ocasio-Cortez is focused on the climate change issue and has been a spokesperson on this for many months and is currently active in finding a solution. As our followers know, we have done several posts on helping Mother Earth get healed from the abuse humans have and are currently directing toward this great planet Earth. 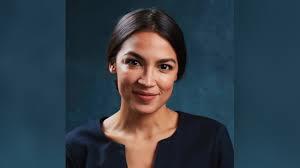 We are now officially fans of Rep. Ocasio-Cortez and will follow her as she moves through the Congress and if she needs any assistance will help in any way we can. The energy she talked with in answering Chuck’s questions was great to see. Just the other night when all the newly elected Congresswomen were at the State of the Union address came across with the same energy that Rep. Ocasio-Cortez brought to the interview. What struck us the most was when Rep. Ocasio-Cortez said to Chuck “We will not take ‘you can’t do that’ that comes from the current incumbents’ must be changed to ‘we do not have limitations as to what we can do!”. This new thinking is exciting and exactly what this country needs. Look at some of the ‘old men’ currently on both sides of the aisles, they are so far behind what our country needs its sickening. Bring on the new “breed” and let them take over to take this country back to being the greatest country in the world and leading all the other countries to bringing the world to the new Golden Age. Ex-VP Joe Biden is a favorite of ours and he is considering running for President in 2020. Joe, “We love you, but it’s time to let the next generation take this country forward into the future.” We will only support a women running for President and as of right now Kamala Harris is our choice. New “blood” and new ideas is what we need. Chuck said to Rep. Ocasio-Cortez “What do you say to the people who say Medicare for All can not be done at this time?” Rep. Ocasio-Cortez said “Where is it written that it can’t be done, of course it can be done and we can do it by winning more seats in the Senate in the 2020 election and then having a majority in both the Senate and Congress.” Se folks, these young folks are thinking positive and bowing down to the old farts, mainly GOP dudes like Mitch O. We have attempted to bring in more people sending healing energy to Mother Earth and did not have much success, but we have continued a daily meditation dedicated to healing Mother Earth and we will add the committee that is assigned to being solutions to Climate Change and of course all the new Representatives. Join us folks. If we do not cure climate change, then we can say bye-bye to our planet, and if we say bye-bye folks, there is no coming back. Mother Earth was here long before we came along and will be here long after we have gone away. Yes folks, Mother Earth is battling on her survival and the “creators” are watching all the events on this planet. We believe that if the “creators” believe that Mother Earth needs their assistance, then the “creators” will remove all living from the face of the Earth. Got it? Yes folks, we and all living things will be removed and the cycle will start again at the beginning after Mother Earth gets healed. Folks, let us ask you “Don’t you want you your future children in 3020 online checking their family tree?”. It’s not going to happen it we don’t address climate change now! Folks, we can do this and we can do it with the help of other countries. We are all in this together. Yes there are the “nay Sayers” and they will be left behind as we progress along with our climate change agenda. To all the newly elected Representatives we support you 1,000%. Bring on your new thinking! Get crazy and start a conversation about what we need to get done and protect our future. 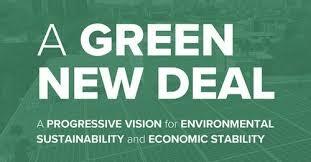 Number one is “Green New Deal” (Green New Deal link) Hundreds of thousands of jobs will be created to get this done and it will take a long time. It’s just like anything else, it’s and idea that has been created and great amounts of positive energy will be applied to get this done, so it will get done. Let the critics yell and scream knowing that we shall prevail in saving our planet because if we don’t, the cost will be in in the trillions and the human pain will be beyond description. We have nothing else to report except to say to Florida Rep. Matt Gaete, “When you attempted to get those parents of Parkland students that were murdered thrown out of the committee on hand gun violence you highlighted what the entire Party of Trump believes and will go to any lengths to keep guns on our streets to kill about 40,000 each year”. Hey Florida! Is Matt from your district? How about the next election you vote for a human and not a piece of dirt? Thanks to all our supporters and readers that stop by and take their precious time to read our posts. God Bless America and God bless the American people.